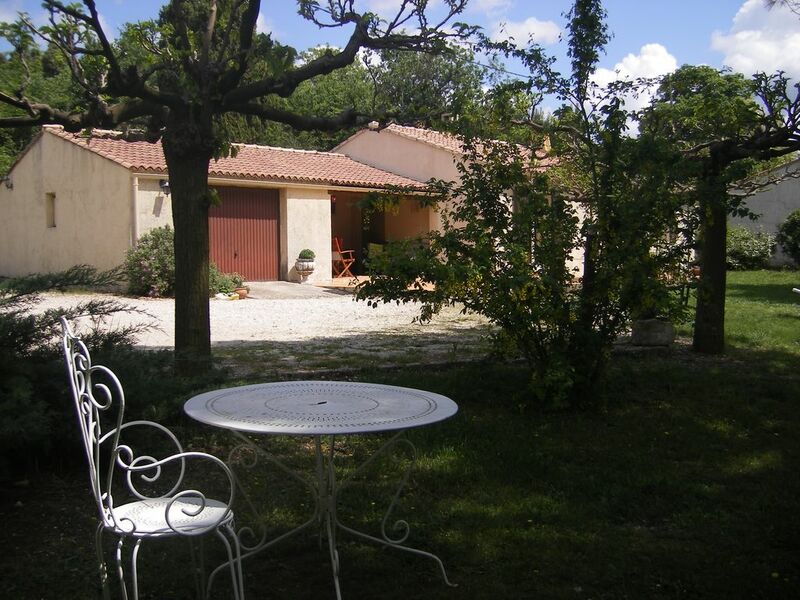 house facing the Luberon, air-conditioned, south facing, unobstructed view overlooking the countryside, on ground of 1000 m, fenced and closed by a gate. Many departures of pedestrian walks, cycling has proximitées. High Vaucluse markets in fragrance and color. APT, capital of candied fruit. fields of lavender and lavender. lavender distilleries. beautiful villages. nearby: Gordes, Roussillon, Goulte, saignon, bonnieux, lacoste, Menerbe, Oppède, the isle sur sorgue, Vaucluse fountain, villars saint saturnin and other goods. Visits massive ocher of the Luberon. large shower 1m55 / 0m. 75 with window, 2 sinks.